Welcome to 2014 – a magical year of possibility for you as a writer. At this pivotal time, I’d like to invite you to pause and reflect on your writing journey….where you’ve been in 2013 and where you’re going in 2014. This is a time to be gentle with yourself. If a good friend came to you for advice, I bet you’d be compassionate and encouraging. You’d also be honest, but in a caring way. Why not adopt this same voice in your inner dialogue with yourself? What were the highlights for you as a writer in 2013? It’s time to celebrate them! complete a major writing project? have a story published in a literary journal? complete a memoir that you shared with family members? take a writing course, or attend a retreat or conference? For what and whom are you grateful on your writing journey? What do you need to grow as a writer in 2014? do you need to develop specific aspects of craft through attending workshops, courses, conferences, retreats, working with a mentor? would you like to subscribe to literary journals or magazines about writing? 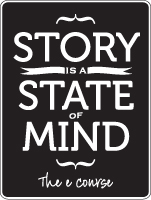 What are your writing-related goals for 2014? Be specific. a commitment to how often you will write. You are the only one who can decide what’s best for you. Will a daily word count work? Will frequency work better – thirty minutes a day x 3 times a week? Will you participate in NaNoWriMo (National Novel Writing Month) and if so, how can you plan now for the time and support you will need to write a novel in a month? do you plan to enter writing contests? Which ones? What are the deadlines you need to meet? are you ready to start sending your work out to publications? Which publications? What are their submission guidelines and deadlines? What is your ideal space for writing? In what ways can you nurture yourself? After you have written out your writing goals for 2014, post them in a place where you see them everyday. Check in weekly – are you moving in the direction of your intentions? I wish you well on your writing journey in 2014.